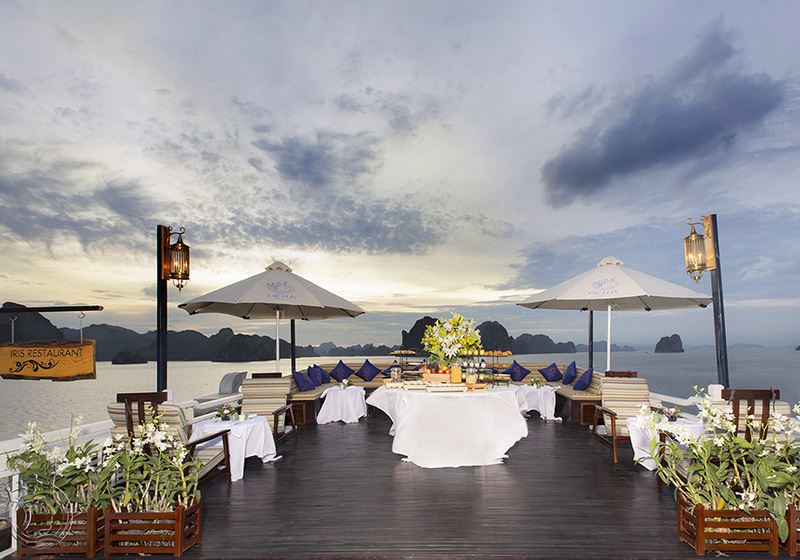 Orchid Cruises are the leading line in 5-star cruises in Halong Bay. The BRAND NEW cruises in Halong Bay – Lan Ha Bay with the highest level of customer service and an unbeatable relaxing environment are sure to exceed your highest expectations of any and all Halong Bay cruises. 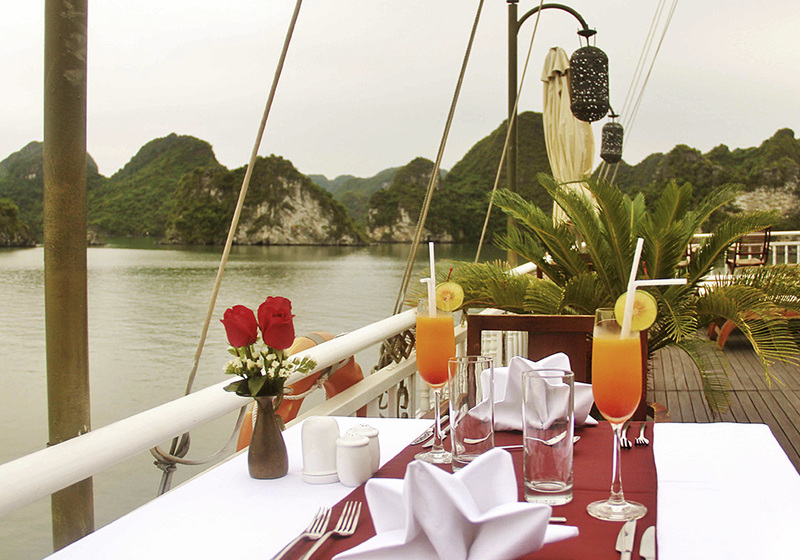 Orchid cruises were the first cruising through Halong Bay – Lan Ha Bay, and they have the deepest knowledge and experience of cruising to all of the best features of this unforgettable cruise route! 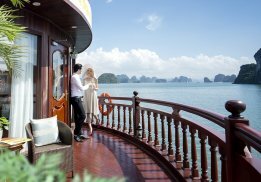 Joining Orchid Cruises, on the enchanting travel through beautiful Halong Bay will allow travelers to relax and discover untouched areas, rare specialized itineraries we provide you to experience less traveled routes that other cruises simply cannot offer to you. Orchid Cruises house 14 luxury cabins with an elite, professional crew that will provide you the best services during your travels in Halong! ORCHID CRUISE proceeds to Da Chong islet, where you can see a lighthouse built by the French over 100 years ago. Have International Buffet Lunch while passing via the islets of Con Vit area. These amazing limestone karst formations rise up out of the sea in an impressive manner. 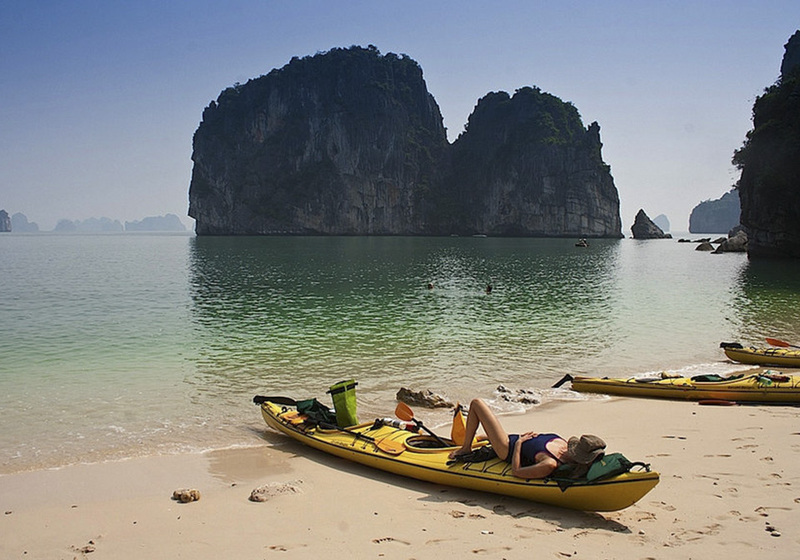 This area is untouched, as not many cruise ships use the route via the Cat Ba Island – Thoi Quyt area – Coc Ngoi islet – through Gia Luan area where is belong to Cat Ba National Park.